Sandcatchers was formed by oud player and guitarist Yoshie Fruchter (Pitom, John Zorn) during his weekly gigs at Cheryl’s, a bustling soul food restaurant and neighborhood hang in Prospect Heights, Brooklyn. Along with Myk Freedman on lap steel, Michael Bates on double bass, and Tim Keiper on drums, Fruchter combines the Middle Eastern oud and Americana-infused lap steel to create a new sound inspired both by Arabic maqam and the Appalachian Trail. 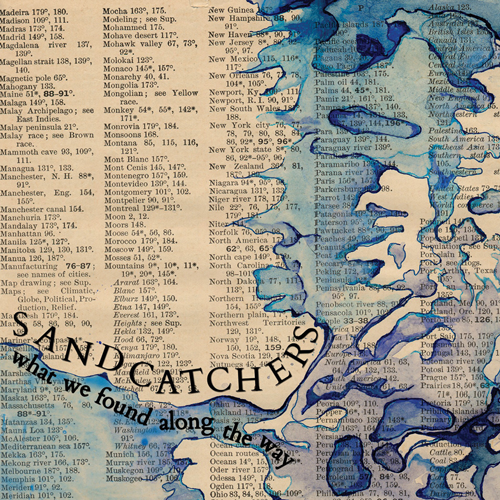 Called ‘a Middle Eastern pastoral Americana jamband’ by New York Music Daily, Sandcatchers’ What We Found Along the Way is a beautiful collaboration of sounds and souls, with original music by Fruchter and featuring special guest Erik Friedlander on cello.